Art, excess, activism and tropicália: meet the Brazilian answer to Andy Warhol. 11 December, 19.30h at Rialto Amsterdam. Directed by Oiticica’s nephew and narrated by the artist himself through his own audio recordings, the film brings us deep into Helio Oiticica’s artistic world. Hailed as the Brazilian Andy Warhol, Oiticica (1937-1980) is renowned as one of the most important Brazilian artists of the 20th century. From his modernist paintings and sculptures of the 1960s to his expanded cinema installations and slide show environments of the 1970s, this dazzling cinematic mosaic follows Hélio Oiticica from the lively street life of Rio to the art world of New York and London. From favela fashion to tangible art, Oiticica’s ultimate goal was to take art out of museums and drape people in it, a mission statement that led to the explosion of the tropicália cultural movement, started by Oiticica with musicians Caetano Veloso and Gilberto Gil. 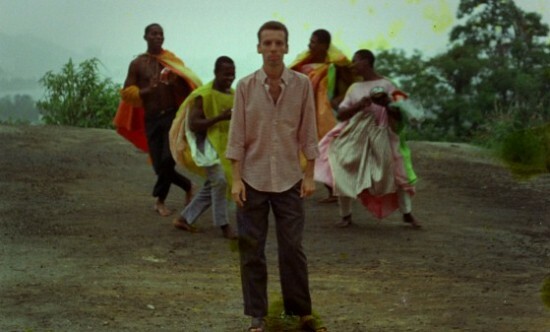 The film masterfully blends striking footage from Hélio Oiticica’s rare super-8 films and other extraordinary archival material to the sound of the new wave of Brazilian music of the 60s and 70s, allowing a unique immersion in the art, thoughts and intimacy of Hélio Oiticica. The result is a crucial document about an artistic legend that also charts one of the periods of greatest effervescence of Brazilian culture. Winner of a Caligari Award and a FIPRESCI Jury Prize at Berlinale 2013.